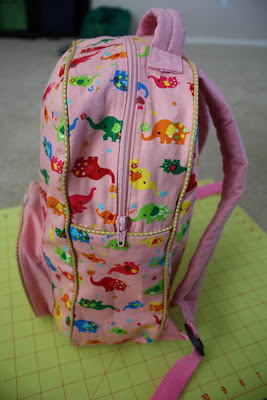 I set out to make this back pack for two reasons. One, I had this adorable elephant canvas that I bought for Zizza. She would ask every day when I was going to make her something with it and what the something would be. Two, She was starting preschool and the back pack I made for her last year isn’t large enough to hold her preschool folder. 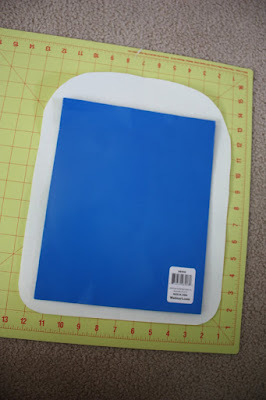 I started my pattern with the folder. What ever I did, this standard sized school folder would have to fit inside. 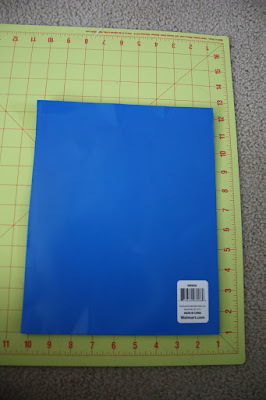 I allowed for an inch of wiggle room on each side of the folder and quarter inch seams. 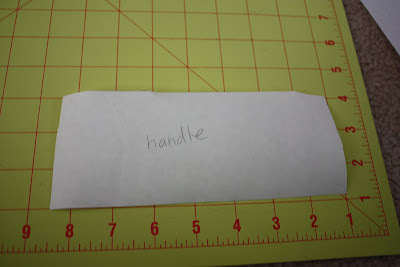 Then I gave it three extra inches at the top, and rounded all the corners. This process gave me the template for the front and back pieces. Moving on, I considered straps. I made my strap pieces six inches wide, they were a little wider than necessary but better safe than sorry. I wanted the finished straps to be about 2″ wide. 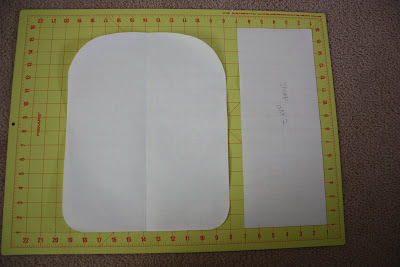 I planned on tri-folding the fabric around something poufy, (and I did that) so I needed 2″ for the front of the straps, 2″ for the back, 1/2″ seam allowance and an unknown amount of allowance for the poufy ness. The six inch width worked fine, but there is an extra inch of seam allowance inside my straps. To decide the length of the strap pieces I measured diagonally from the top center of the front/back piece to the bottom side. 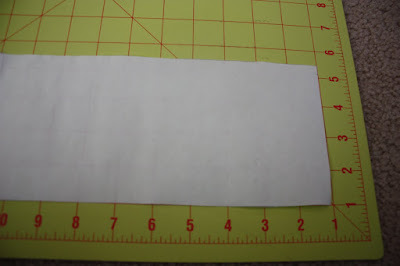 That measurement was so close to the width of the paper I was working with, I just cut a 6″ strip of the full width and called it good. The straps were a little longer than needed, I trimmed about 2″ off the top before I sewed them on. Here’s what my strap piece looks like in comparison to my front/back piece. 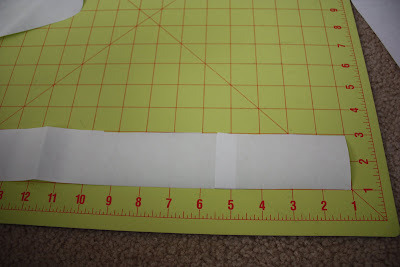 For the long strip that would make up the sides and bottom, you’ll need to measure around the edge of your front/back piece. 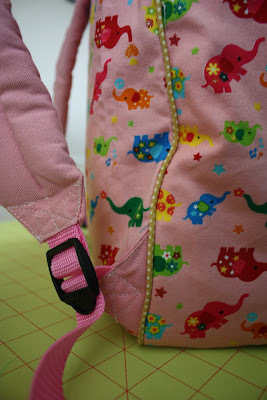 Subtract the length of your zipper, and add seam allowance. I like to ere on the side of too long so I planned for an inch of seam allowance at each end of this piece. I made this piece 4 1/2″ wide. 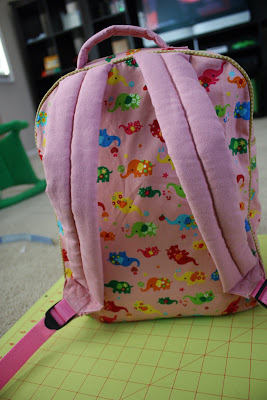 After taking 1/4 ” seams on both sides, the depth of my back pack is 4″. 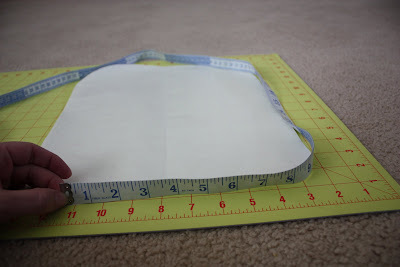 You’ll also need a piece equal to the length of your Zipper (mine was 18″) Make it the same width as the piece for the sides and bottom, then cut it in half. So you’ll have 2 pieces half the width of the side/bottom piece and as long as your zipper. Time for the pocket. 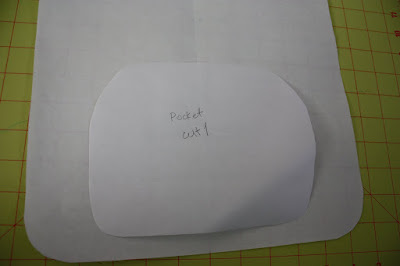 To decide the width of my pocket, I measured in 2″ from each side of my front/back piece. I made the about 1/3 the height of the back pack, and curved it’s corners. 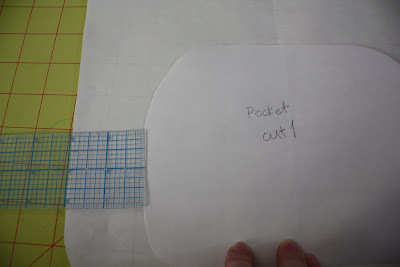 For the sides of my pocket, I measured it’s circumference, added a generous seam allowance and cut a 2″ wide strip of that length. I finished up with this little fella, and my pattern was ready! Now, here are some more photos of the finished product. 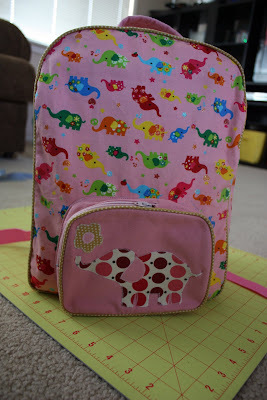 If you’d like to make a back pack of your own and have questions, I’d be happy to answer them. If you’ve never made your own pattern before, this is a great place to start. Don’t be scared, you can do it! This project is all rectangles and you don’t have to worry about a person fitting inside. Go for it! Thanks for the tutorial – that is awesome! The backpack is incredible! Thanks so much. Love the backpack. I haven never even thought of making one til now. Adorable! I LOVE the elephant. Super tutorial. thank you! Fantastique !! C'est du beau travail, merci pour le tutoriel. Merci pour lire ma blog!